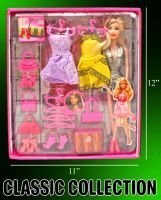 Saucy Girl Doll - Give her a modern look with beautiful trendy dresses with matching accessories. Choose your foe friends and fashions! Create super styling fashion designs. 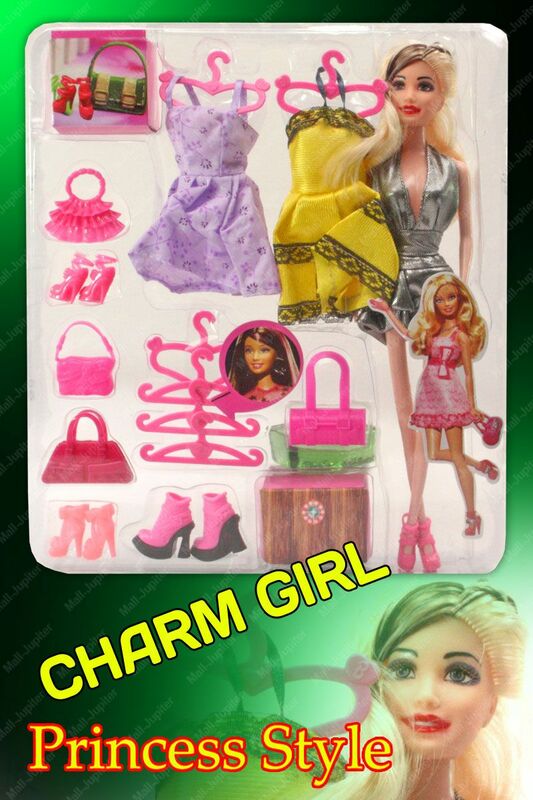 Give new fashionable girl the most amazing makeovers! Fab fashions from girl just like you ! 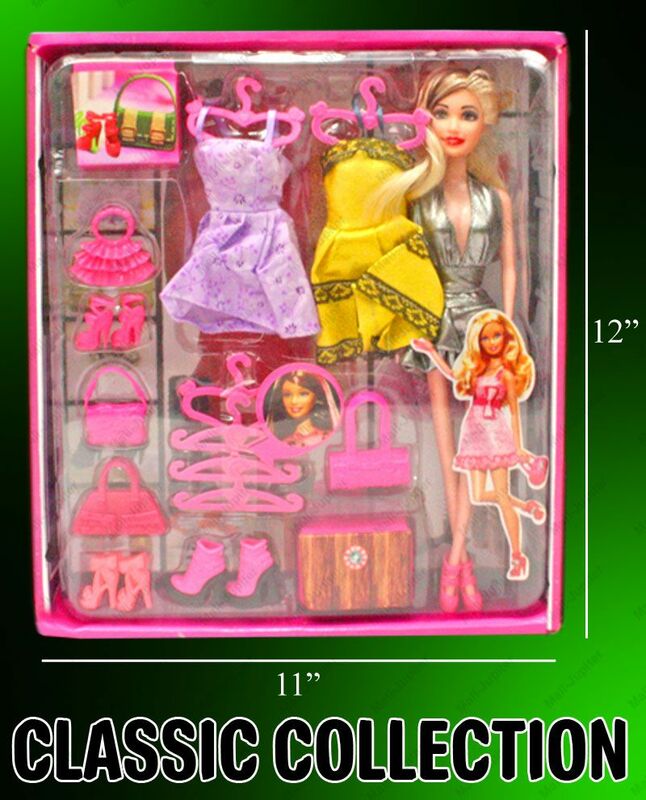 1 X Doll Barbie Set with Beautiful Trendy Dresses with Matching Accessories (Color will ship at Random).